After facing down Romulans from the future and the genetic threat of Khan, what could possibly put fear into the hearts of the crew of the USS Enterprise? Idris Elba could. And if he’s to be believed, he’s going to do it in a way that the Star Trek cinematic universe hasn’t seen before. Simon [Pegg] and the team have written a very interesting, complex journey for my character. You’ve never seen me play a character like this. I think Star Trek has prided themselves as being quite classic when it comes to villains, like “he’s a guy who wants to end the world,” there’s no doubt about that. But in this version of the film, there’s a slightly different twist to that. It’s quite an interesting journey, which I think is groundbreaking for the franchise. But, it still keeps with the “classic bad guy is a classic bad guy” tone. 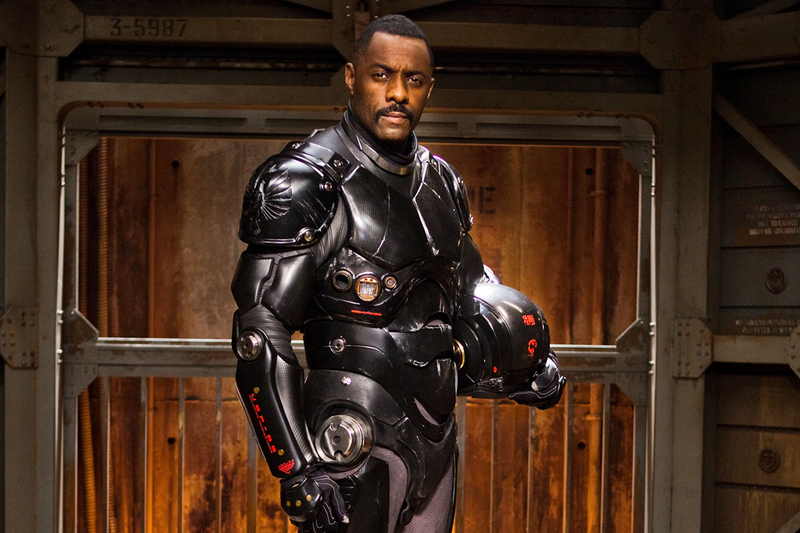 It may seem like a bunch of buzz words (“interesting, complex journey” and “groundbreaking” jump right out) but I’m still intrigued by the idea of Idris Elba as a badass space villain. Rumors began early on that the Klingons would be the major antagonists of the tertiary installment, but co-writer Simon Pegg quickly shot that idea down, stating that the threat for the new film would be a wholly original idea. Hopefully when we get the first trailer we’ll get a better idea of where the film is headed. That should be soon, maybe even this holiday season, as Star Trek Beyond is currently on the schedule for a July 22, 2016 release. This entry was posted in Breaking News, Film and tagged idris elba, star trek 3, Star Trek Beyond. Bookmark the permalink.